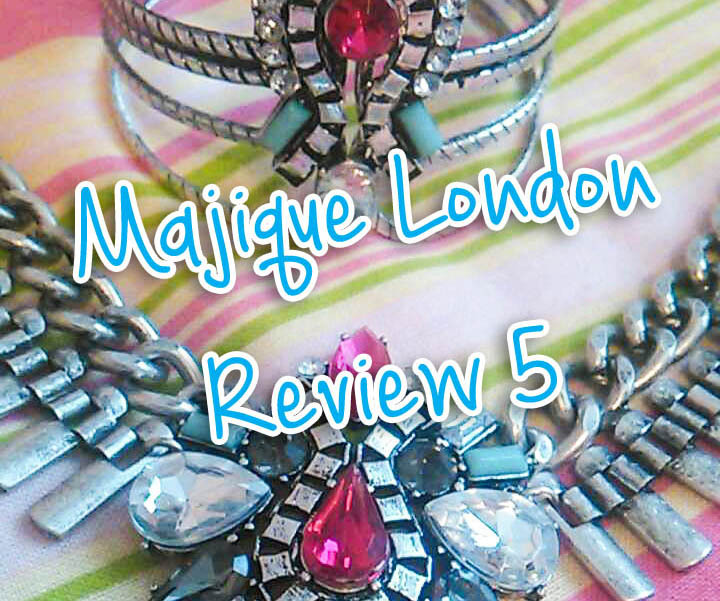 This week I'm back with another review on some stunning jewellery from Majique Jewellery London. 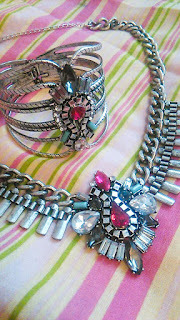 This week I'm reviewing a gorgeous statement necklace and matching bracelet as well as a silver, turquoise and crystal stretch bracelet. The minute that I saw both of these matching pieces on their website I just had to have them! The finish of the pieces is a dark silver and the pieces contain some pink, silver, dark grey and turquoise stones in them so there's tonnes of colours in the pieces that you could match to almost any outfit. 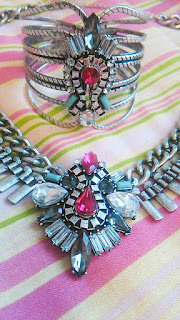 The necklace has a lobster clasp and a chain extender so you can wear it as short or as long as you like which I love. 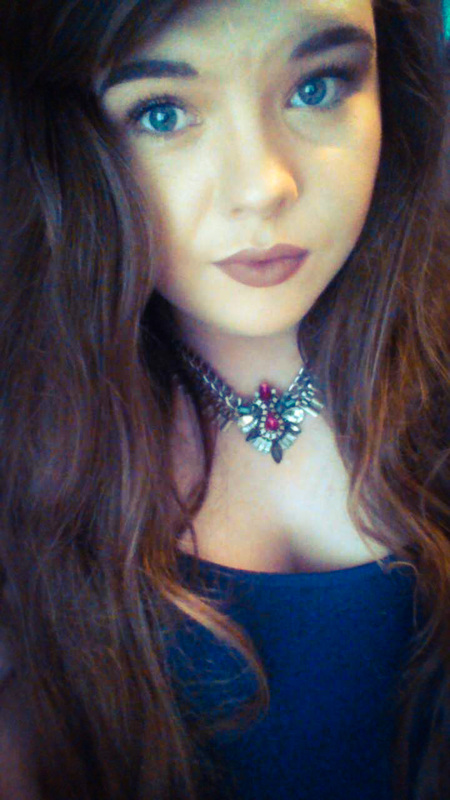 The necklace curves into a v shape and sits really nice on the neck. I love this necklace so much because it's unlike any statement piece that I had already owned. 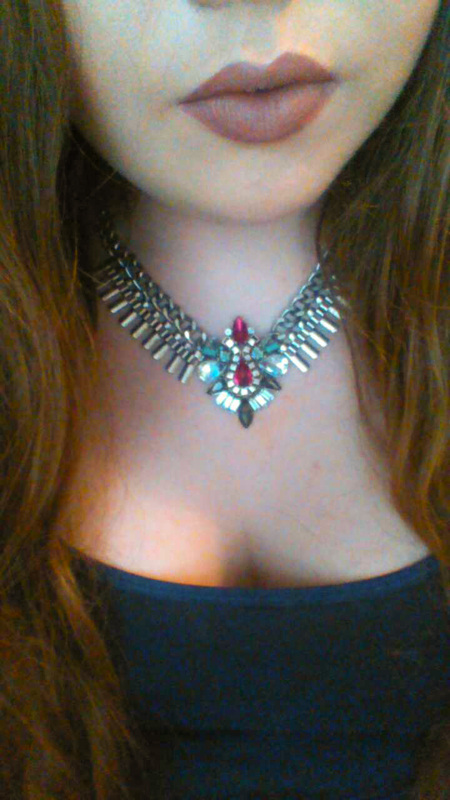 Wearing this necklace made me feel like a warrior princess, I love it! This necklace sells for £17 from Majique London and you can buy it here. The next piece I'm reviewing is the bracelet to match the necklace. Again, I fell in love with this piece and when I realised that it matched the necklace I was even happier! The bracelet has a hinge at the bottom of the bracelet so it opens at the front but you can't see where because the detailing on the front covers the opening. This bracelet is pretty chunky and it's like a cuff bracelet, it matches the statement necklace perfectly in both style and size! The bracelet sells for £13 from Majique London and you can buy it here. 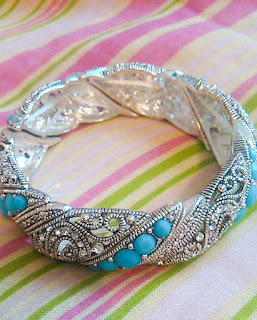 The third and final piece that I'm reviewing this week is this gorgeous silver and turquoise stretch bracelet. The bracelet is made up of small pieces that all join together to form the shape of the bracelet. It has gorgeous detailing the whole way around and has small crystal pieces in some places that give it that bit of sparkle. I love the turquoise stones and I love the fact that the bracelet is stretchy so it would fit almost anybodys' wrist and still look amazing! This bracelet retails for £17 from Majique London and you can buy it here. I'll be back again soon with more reviews on some pieces from Majique London so keep an eye out on all my social media accounts for updates.